Kick off your visit on the 23rd (Mon): don't miss a visit to Lordi's Square, then take an in-depth tour of Arktikum, then make a trip to Santa Claus Office, and finally get in on the family fun at Santa Claus Village. On the next day, look for gifts at Your Piece Of Finland, then have fun at Snowman World Igloo Hotel, and then get in on the family fun at SantaPark - the Home Cavern of Santa Claus. 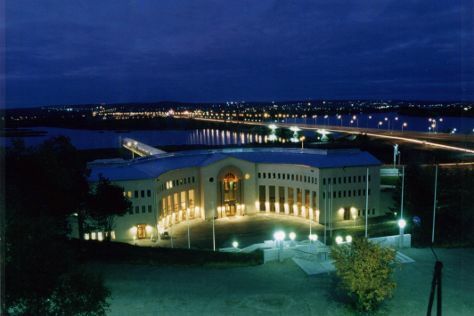 To see more things to do, where to stay, ratings, and tourist information, refer to the Rovaniemi itinerary maker . Singapore, Singapore to Rovaniemi is an approximately 18.5-hour flight. You can also do a combination of flight and train; or do a combination of flight and bus. Traveling from Singapore to Rovaniemi, you'll gain 6 hours due to the time zone difference. Plan for cooler temperatures traveling from Singapore in December, with highs in Rovaniemi at -6°C and lows at -13°C. Finish up your sightseeing early on the 24th (Tue) so you can travel back home.